You are never alone, says the LORD. I Am constantly with you. You are not talking to yourself. I hear every word that you say, and I know every need that you have. I care for you! I Am not oblivious of your concerns, and I know all the things that trouble you. I Am not just looking and listening, but I Am on task, on your behalf. You do not have to scream to get My attention, for I Am near to you, and watching out for you, says the LORD. I have your back. 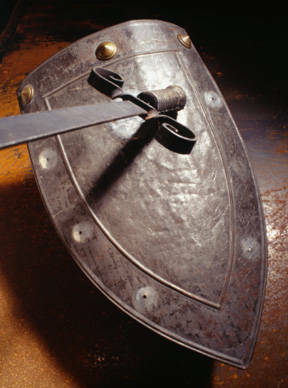 I Am your rear guard, says the LORD. The enemy cannot sneak up behind you and attack you, for I Am your defense. Though he is very cunning, I Am all-wise. He cannot out-smart Me. His strategies are foolishness in My sight. He cannot fool me, or take Me by surprise, for I see everything he is planning, and nothing gets past My attention. I will be your shield, and I will cover you with My own hand. I will under gird you and surround you. You are never out of My reach, for I Am faithfully by your side. The enemy is not greater than Me, and his weapons against you will be broken, his diabolical works destroyed, and his purposes nullified. I will be with you in trouble, and bring you out of it, as you have placed your trust in Me, says the LORD.